Our experienced, certified technicians will repair your truck using our most current, up-to-date equipment. We can analyze, diagnose and repair your complex electronic components as well as change out a simple headlight bulb. We also repair and change tires to get you back on the road fast. Are your truck tires wearing unevenly? We do all wheel alignments with our state of the art Hunter wheel alignment machine. We are also certified to do your federal DOT inspections for your convenience. We offer complete trailer repair service, damage repair, maintenance programs, brakes, air-ride suspension, mechanical & electrical repair and replacement and much more. 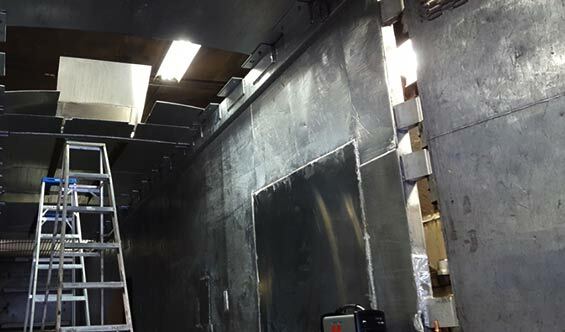 We work on dry vans, refrigerated vans, flat beds, low boys, hopper bottoms, etc. We are confident we can meet all of your trailer repair needs, whether it be service, repair, or a required federal DOT inspection. Our certified technicians will be ready and willing to help you. 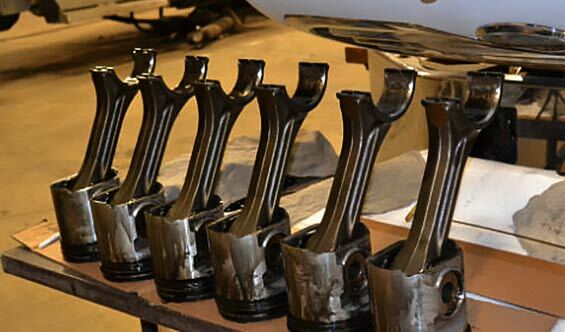 We have years of experience in diagnosing and repairing your engine problems. 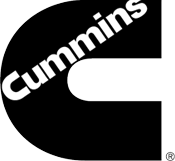 Superior Diesel Inc. is a full service Cummins engine dealer for the ISB, ISC, & ISL engines. That means that we can perform your warranty repairs on those engines. We also have engine software and tooling to diagnose and repair most any diesel engine on the road today. If you need your engine tuned or replaced Superior Diesel Inc. has you covered. 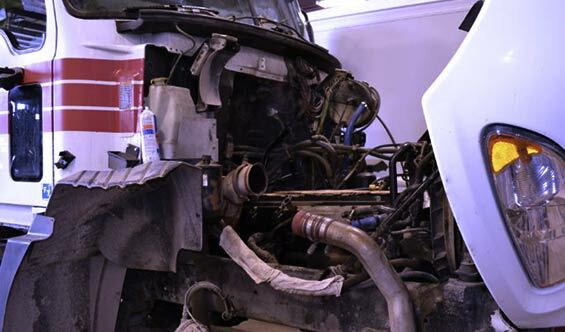 Superior Diesel has 35 years’ experience in the truck repair industry. Superior Diesel is located in the far west suburbs of Chicago, serving from two locations, Waterman and DeKalb. We specialize in truck repair, trailer repair, and engine repair. We have experience working on school buses, city buses, snow plows, fire trucks, ambulances, refuse trucks and semi-trucks. We also have a huge inventory of truck and trailer parts for all of your service repair needs. Our qualified service technicians are happy to answer any of your questions and ensure your repair is done correctly and promptly. We have spotter trucks available for rent or lease, short-term or long-term. Call us for rates and availability. Superior Diesel, Inc., Mobile Service is recognized throughout the Midwest and beyond for providing exceptional quality work at reasonable prices. Our fully stocked Mobile Service Trucks are “rolling garages” that can be quickly deployed to meet your needs. Whether for emergency breakdowns, roadside repair, preventive maintenance inspections or DOT inspections and scheduled onsite repairs. Our highly skilled technicians and Mobile Service Trucks are ready and at your service! Superior Diesel, Inc., Mobile Service includes but is not limited to the following services: fuel issues, jump-starts, air problems, brakes, drive train, emission issues, electronic diagnostics, cold weather starting issues, and cooling system-related matters. We are committed to providing efficient and reliable service. © 2019 Superior Diesel, Inc. All Rights Reserved.